Chef is an automation platform that transforms infrastructure into code. Check out all the Live at 9 interviews from Tuesday, April 9, 2019. Chef is making its software completely free and open source under the Apache 2.0 license. Chef explains how it will make money instead. Chef Habitat revolutionizes the way we are accustomed to deploying and managing applications via a new packaging mechanism and linked intelligent services. 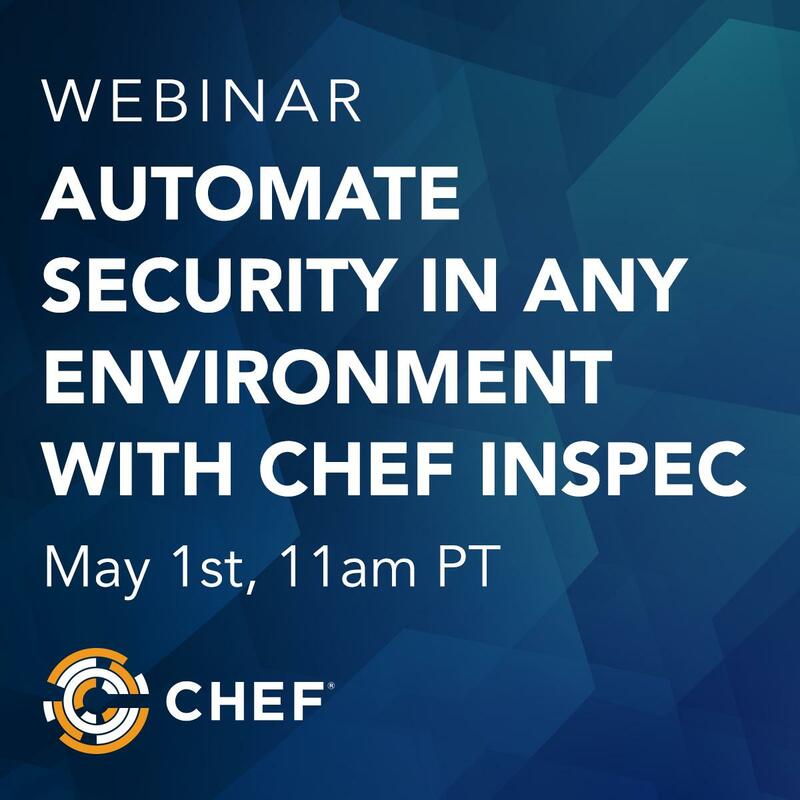 Chef has reached three security milestones for two technology platforms the company designed to help government and enterprise clients automate compliance in cloud computing environments. Check out all the Live at 9 interviews from Tuesday, March 12, 2019. Check out all the Live at 9 interviews from Tuesday, February 12, 2019. Why Nudge.ai? Reach out to the decision makers at Chef with a personalized email - let them know that you found their recent news mention interesting. Nudge.ai’s relationship intelligence platform can help you find the right executive to reach out to at Chef, such as Barry Crist, CEO, or Jay Wampold, Vice President of Marketing. Then get in touch and start a conversation. Executives can be difficult to reach, but every company has connectors who bring together people and ideas. 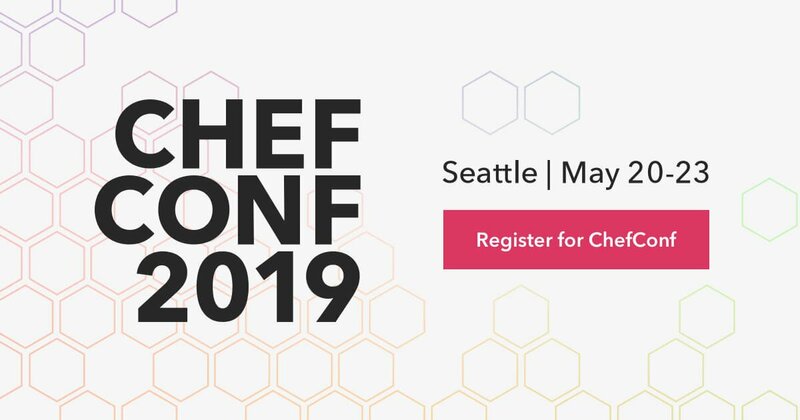 At Chef, people like Julian Dunn, and Nathen Harvey are likely connectors. When Chef is mentioned in the news, Nudge.ai often sees topics like Travel, and Food. If your conversation focuses on these topics, you’ll probably get Chef’s attention. When Chef is mentioned in the news, companies such as Showtime Networks, Netflix, and Instagram are often also mentioned. These companies can serve as customer examples. Employees who are often in the news are usually open to starting conversations or exploring ideas. Nudge.ai's sales AI saw Julian Dunn, Nathen Harvey, and Karolin Beck from Chef recently mentioned in the news. HybridOps is fundamentally a kinder, gentler route to digital transformation, one focused on meeting people where they are and how they’re used to work. Three practitioners of DevOps, Chef Software's Nathen Harvey, Excella Consulting's David Bock and AIS's Brent Wodicka give their thoughts on the concept. Who in your network can introduce you to Chef? Nudge.ai finds the best pathway to reach contacts at this company.